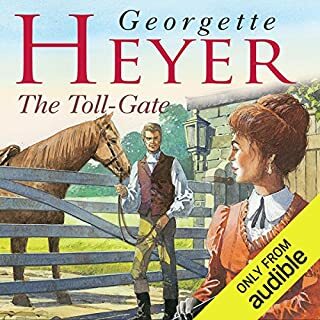 I have most of Heyer’s books on Audible now, and although some narrators are better than others they’re all acceptable. Until now. The story is typical Heyer (although no antagony between hero & heroine but love at first sight and lots of nefarious doings), this book is totally ruined by Daniel Hill, who almost sounds like he’s doing a parody of a narrator. For the first time, I will be returning a book purely because of the dire narration - I know I will never listen to this version again. 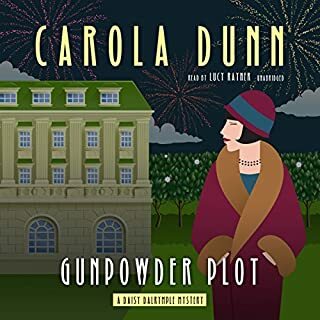 In the winter of 1924, Daisy Dalrymple Fletcher travels to a school friend's house to witness the estate's famous Guy Fawkes celebration. But she gets more than the quiet weekend at the quaint family manse that she was originally hoping for. The home is the site of some severe family tension. The Viscount and head of the family is a strict and unyielding sort, insisting that everyone - especially his children - meet his own unreasonable expectations. On the evening of the Guy Fawkes celebration, the Viscount is found dead on the floor of his study, killed by his own hand. Lucy Rayner is by far the best performer of this series, but the occasional American mispronunciation creeps in. This can usually be ignored, but unfortunately in this book it was the surname of one if the main couples. Gooch - pronounces Goosh throughout. So annoying and very distracting. However, other than that a delightful listen as always.